With the start of a new year upon us, we often use this time to make goals and think about how we would like to make changes in our lives. If you’re sick of spending January at the gym, only to give up in time for a chocolatey Valentine’s Day, maybe it’s time for a new New Year’s Resolution. This year, challenge yourself to live a simpler life. Since moving into a tiny house, and being forced to reassess what makes us truly happy, we’ve learned a lot about what it means to live simply. Minimalism does not have to be a radical lifestyle change, but it is a way of thinking and acting that can positively impact your life. With these tips, you’ll be on your way to a simpler, happier you. The most obvious step towards a simpler lifestyle is to reduce the amount of clutter in your life. The best way to do this is to decide what is important to you, and get rid of everything else. If an item doesn’t either a) serve a specific purpose or function in your everyday life, or b) bring you joy or happiness, then it’s time to toss it. This is not as painful as it sounds. You can start small by cleaning out the dreaded junk drawer, or make a big impact by tackling the basement or the garage. Once you begin to remove the excess in your life, you’ll be surprised at how easy it is to purge a lot of your belongings. I promise you won’t miss the jeans that fit you in high school or the kitchen gadget that’s never been taken out of the box. There are bound to be a few things that you simply can’t part with, even if they don’t serve any true function day-to-day. That’s ok. Put them in a box somewhere and reassess later, you don’t have to do this all at once. Oh, and don’t forget to donate everything you can! Make your junk drawer look like this! Ok, do I even have to explain this one? After putting all that effort in to remove the needless items from your life, don’t go out and replace the old with new. I know how hard it is to resist the newest gadgets and the latest fashion trends, but remember that these aren’t what made you happy in the first place, so why would it be any different now? Don’t feel like you have to give up shopping forever. Just be more conscious, and really analyze if something you want is truly something you need. We get so sucked into the routine of life, that we seldom have time to breathe and appreciate what is happening in the moment. Let me first say this: being busy is not a bad thing. In fact, I am the type of person who needs to stay busy in order to be happy and productive. It’s not how much free time we have, but how we chose to spend that time that matters. Set aside just 10 minutes of your day to do something that brings you peace. Meditate, write, read, draw, go for a walk outside, play with your dog, do anything that breaks the cycle of go, go, go! Simple food is better food. It’s healthier for your mind, your body, and the planet. I’m not saying you have go to a farmer’s market and purchase only organic, local, non-GMO, vegan, cruelty free, packaged-in-environmentally-friendly-material food items (though wouldn’t it be great if everyone could? ), but a great small step towards eating healthier and living simpler is to look at the ingredients list on the items you buy. If the label contains more than 10 ingredients, and half of them are impossible to pronounce, try to find a similar item with simpler ingredients. This is not always easy. In huge grocery store chains, the “health food” section is usually tiny and over-priced. And if you live in a part of the country where fresh produce is not locally available all year, it’s painful to drop major cash on overripe berries that have been shipped 2,000 miles. A great option for reasonably priced, fresh, local food, is to join a CSA. Community Supported Agriculture programs are mutually beneficial for members, local farmers, and for your local economy. If this is sounding too crunchy-granola for you, just try to make small changes to your normal grocery list by paying attention to labels, and making simpler choices. Try to make homemade-by-scratch versions of your favorite dishes, and you’ll see how few ingredients are really required for a quality meal. When you put the time and effort into creating your meals by hand, and use real, quality ingredients, you gain an appreciation for the food itself, and will enjoy each meal more than ever before. This is a bigger step, and it may not be realistic for everyone. However, if you’ve already cleaned out your closets and devoted yourself to consuming less, you may be considering downsizing your living situation. One thing to remember is that we tend to expand or shrink to fit our environment. If you’ve decluttered and suddenly find yourself in an empty house, you will likely begin to unconsciously fill that space again. Likewise, if you move into a home that is cramped with your belongings, you’ll quickly realize what you don’t need. So if you’re really set on maintaining a minimalistic lifestyle, start thinking about making the next step to move into a smaller dwelling. Not everyone needs to go to the extreme of a 200 sq foot tiny house, but downsizing to any degree is a great way to simplify. Not to mention those extra dollars you could be saving in a smaller place! a place for everything, and everything in it’s place.! Living a simpler life may sound like an overwhelming task, but it really is just the combination of small, easy lifestyle changes. In the past year, we have been making these modifications to our life, and we are definitely feeling inspired and motivated to continue simplifying. Whether you are ready to make a major change, or are just looking to implement a few of these ideas, living more simply is something everyone can do. Heather is a Registered Nurse who loves to ski and hike in her free time. 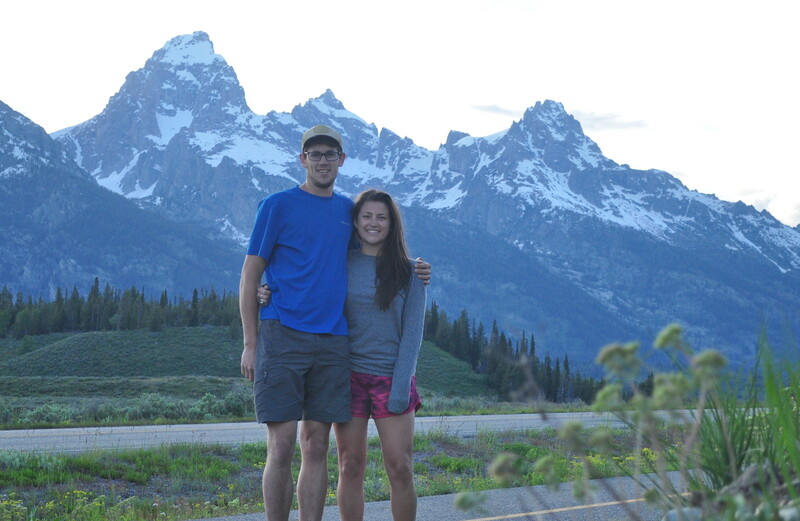 She has a passion for the mountains, and an interest in public health and the environment.